We journey to ancient Carthage in North Africa to uncover the fascinating true story of a courageous young woman of the early church who dared to claim Jesus as her Lord in the face of Roman opposition. 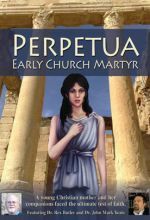 Faced with the risk of death, Perpetua gave up wealth, freedom, and eventually life itself, rather than renounce her faith in Christ. Explore the cultural, political, and religious events surrounding this story of steadfast faith! Join well-known Early Church experts Dr. Rex Butler and Dr. John Mark Yeats as they trace the history and message of this timeless true story and its relevance for us today. Included is footage shot at the actual sites where the story took place in Carthage, Tunisia. This documentary will inform as well as inspire. Dr. Rex Butler is author of The New Prophecy and “New Visions”: Evidence of Montanism in the Passion of Perpetua and Felicitas. Dr. John Mark Yeats teaches Church History at Southwestern Baptist Theological Seminary.